The international consortium of researchers connected to the patient-driven Project MinE has identified a new ALS gene, named C21orf2. In their publication in Nature Genetics, they present a total of six genetic regions that were found to increase the risk of amyotrophic lateral sclerosis (ALS). 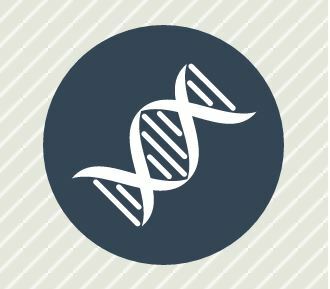 Researchers and ALS associations from 15 countries collaborated in this genome-wide association study in ALS, which is the largest one to date. ALS, also known as MND or Lou Gehrig’s Disease, is a rapidly progressive fatal neurodegenerative disease affecting 1 in 400 individuals. The cause of ALS is unknown and therefore effective therapies are lacking. 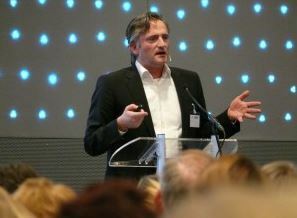 To find the genetic causes of ALS, two patients, Bernard Muller and Robbert Jan Stuit, initiated the large crowdfunded ALS genetics research Project MinE. In total 15,156 patients with ALS and 26,224 healthy controls worldwide participated in this large international study led by Prof. Jan Veldink and Prof. Leonard van den Berg from the University Medical Center Utrecht (The Netherlands) and Prof. Ammar Al-Chalabi from King’s College London (United Kingdom). This study combined “snapshot” chip-based genetic data with whole genome sequencing of 1,861 individuals using advanced statistical methods. Whole genome sequencing involves reading every single of the 6 billion letters in the genome. In total 8,697,640 variants across the genome were tested for the risk of developing ALS. The goal of Project MinE is to whole genome sequence the DNA of 15,000 ALS patients and 7,500 control subjects, to understand the genetic basis of ALS and to ultimately find a cure for this devastating disease. No cure yet: We ask your continued support! Although this new find is important progress in our worldwide fight against ALS/ MND, there is still a lot of work to do before we have effective treatments at hand. That’s why we ask your continued support. Please donate to Project MinE! Money determines for the most part the speed of our international research. Your donation makes a difference! 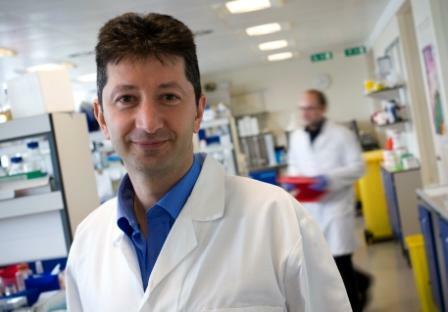 Please read the research blog of our partner, the British MND Association, to read wat this new finding means for ALS patient. Have a read of the scientific paper titled “Genome-wide association analyses identify new risk variants and the genetic architecture of amyotrophic lateral sclerosis” in Nature Genetics (published online 25th of July). This paper was published together with another new scientific paper of Project MinE researchers “NEK1 variants confer susceptibility to amyotrophic lateral sclerosis” in the same issue of Nature Genetics.